Skin sensor technology makes burning virtually impossible. 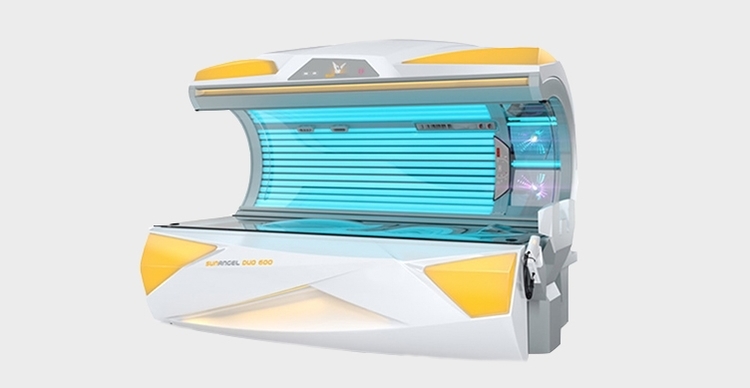 After scanning your skin, sunbed adjusts lamp power to avoid overexposure and maximize results. Aqua misting, air conditioning, 3D sound system, aromatherapy and contoured acrylics. Maintain your tan with just 2-3 sessions per month. High-pressure tanning beds provide the deepest, darkest, longest-lasting, golden brown tan. Maintain your tan with just 3-4 sessions per month. Over-sized acrylics, body misting, and aromatherapy provides unsurpassed comfort and the darkest tanning results.